Recipe Source Online: Snickerdoodle Poppers Recipe - A trigger food for all! 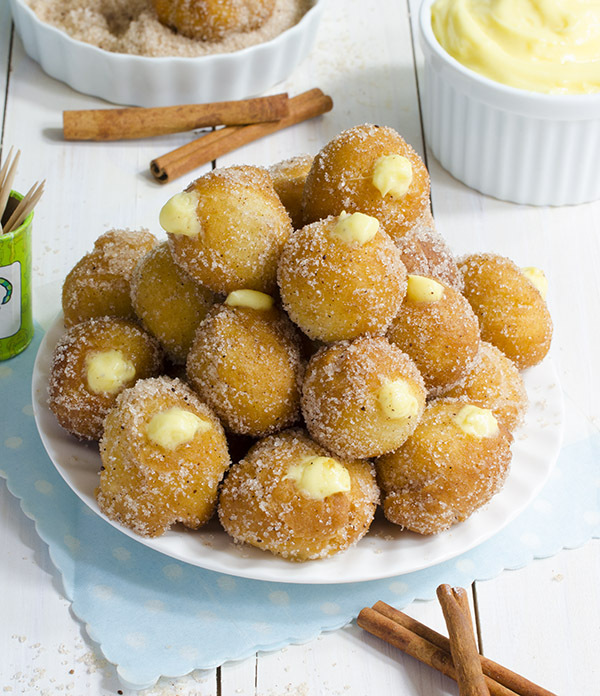 Snickerdoodle Poppers Recipe - A trigger food for all! Combine 2/3 cup sugar and cinnamon and set aside. Roll out about 1/2 tablespoonfuls dough into ball with your hands (roll it gently) Place dough ball into oil and fry until golden brown ( flip the ball when it’s golden brown to cook evenly both sides). Work in small batches because you have to work fast. Using a filling tip, poke the poppers going about halfway in and then squeeze the filling.